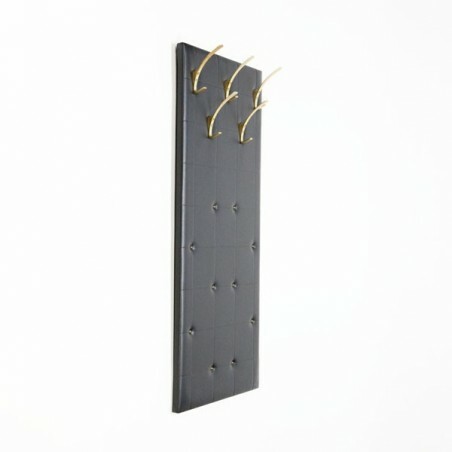 Vintage wall coat rack from the sixties / seventies. 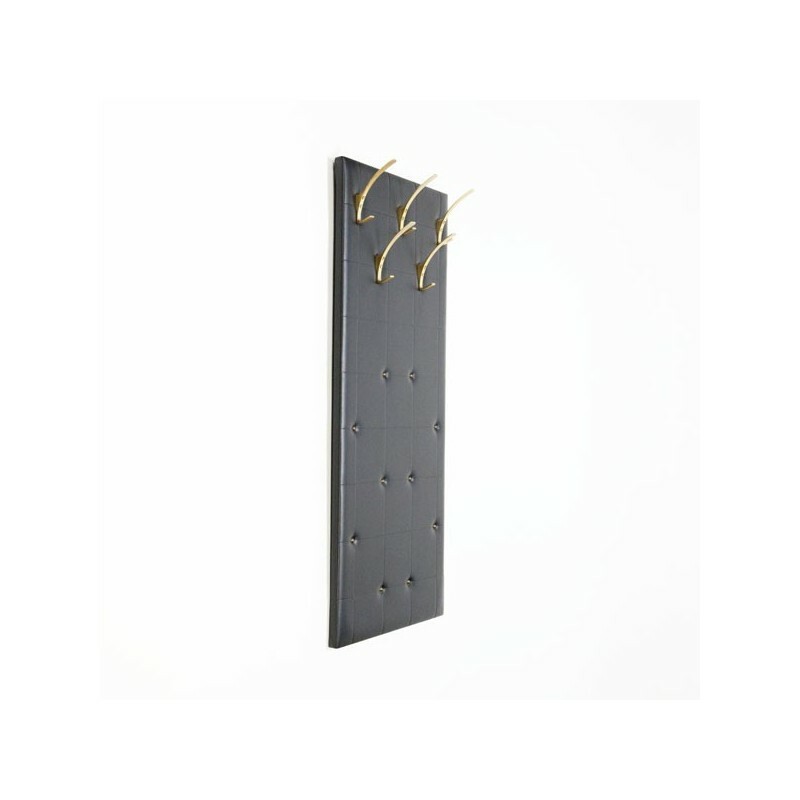 The coat rack is made of skai with brass-colored details. The condition is good considering the age, see the detail photos. The size is 111 cm high and 48.5 cm wide.